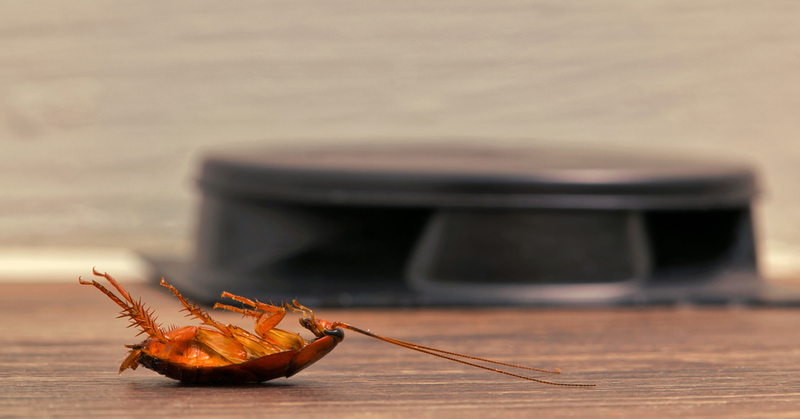 Anyone who has experienced a cockroach infestation in their home or place of business knows what a hassle it can be to deal with. The presence of cockroaches in your kitchen and bathroom can leave you feeling unclean and edgy. Have they been crawling on your toothbrush during the night? Have they scurried through your cereal box? Yuck! The thought alone is enough to make you shudder! So what’s the best way to get rid of cockroaches? And what methods are sure to be the most effective, cost-efficient, and last the longest? The two most common store-bought forms of cockroach control are spray and bait. Cockroach spray is often wielded as the first defence when a giant cockroach is seen scuttling across the floor. Cockroach bait is more likely to be laid when there are suspicions that there’s a group of these filthy critters hiding out in your home. We take a look at both cockroach killer products and recommend a third, better cockroach control solution ideal for longer lasting cockroach control. While you may find it cathartic to drown a crawling cockroach in spray, it’s not really the best long-term solution to ridding your home of these hardy pests. Most store-bought cockroach sprays are designed to kill individual cockroaches as you see them. While they’re usually sufficient for this purpose, they fail to target the source of the problem: the nest. Unless you eradicate the entire nest of breeding cockroaches on your property, you can be sure that they’ll continue reproducing and infesting your premises. Effective at killing individual cockroaches. Does not target a full cockroach infestation. Sprays can be harmful if consumed by children and pets. May also contaminate food preparation surfaces. 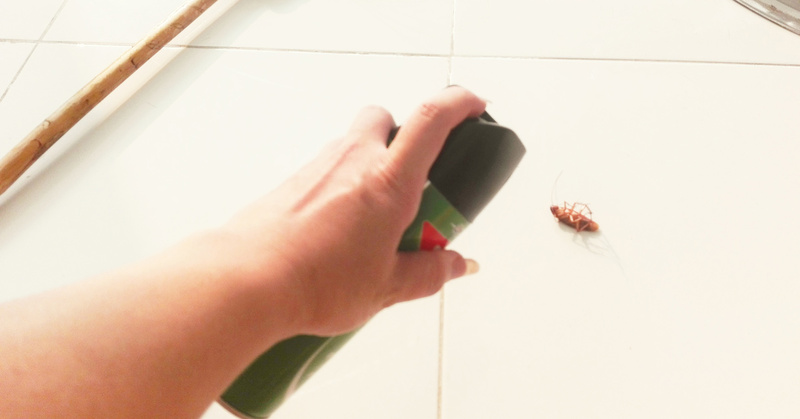 It can take a lot of spray to immobilise a large cockroach, such as the American cockroach. Cockroach baits are designed to kill more than one cockroach. The cockroaches are enticed to eat poisonous bait, which is then spread throughout the nest by the cockroaches. Baits are most effective when placed in areas of the home that cockroaches favour. Dark, warm and moist places are where cockroaches tend to congregate, such as behind refrigerators or the cupboards under bathroom sinks. Useful for killing unseen and unreachable nests of cockroaches. Need to be replaced every few months. It often takes longer for the poison to spread through the cockroach colony than it does for cockroaches to reproduce. Baits can be harmful if ingested by children or pets. The plastic housing around the bait can also easily break, becoming a choking hazard. The only way to exterminate a cockroach infestation for good is to invest in professional cockroach control. The cleanliness and safety of your home depend on the complete elimination of the cockroach nest and colony. 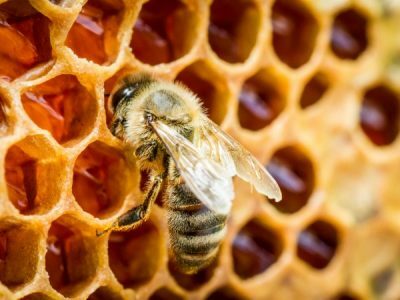 And the only way to achieve this swiftly is by organising professional pest control services. The best part of using pest control services to get rid of cockroaches is that you can rest assured that they will not return for a very long time. 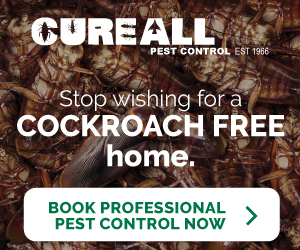 At Cure All Pest Control, we guarantee that your property will remain cockroach-free for 12 months after treatment. We use a range of liquid residual sprays, dusts and gels to treat cockroach infestations. Ditch the short-term store-bought solutions such as cockroach spray and cockroach bait and deal with a cockroach infestation quickly. An expert Brisbane pest control service such as Cure All can rid your property of cockroaches (and other nasty critters!) for 12 months to help you maintain a safe and clean environment for your family or business. 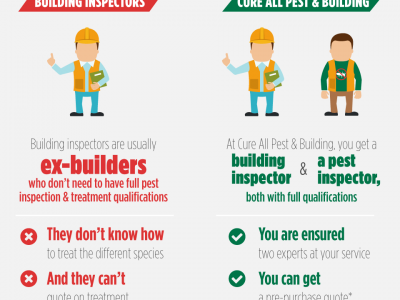 Contact Cure All Pest Control today to book an on-site assessment for your Brisbane property! 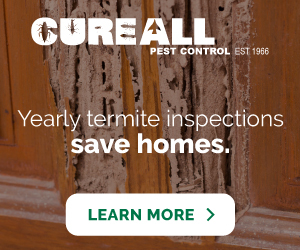 Cure All pest Control have been protecting your family home from termites and pests for 50 years. 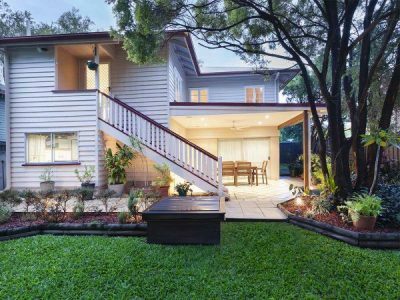 Brisbane's trusted pest control. Email us for a quote today!